Dog bike baskets can be a great way to carry smaller pets handsfree so both of you enjoy the bike ride. In this guide we take a look at some of the best dog bike baskets, carriers and seats on the market, including how and why they might be good for your bike. The options listed in this guide are generally for small pets up to around the 20lbs weight limit. Basket dimensions are 16 in. x 12 in. x 11 in. Buckles are spaced 10” apart and are 1” thick. Be sure your bicycle can accommodate this measurement on its handlebars. Bottom support bar will rest on neck of bike 10” down from where the straps attach to handlebars. Be sure brake cables and other items are free of this area. 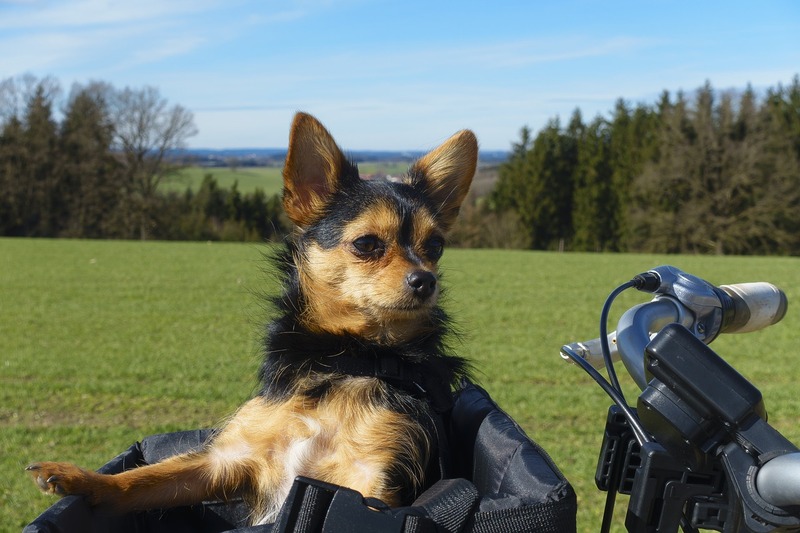 You can read more about carrying a dog on a bike in this guide.